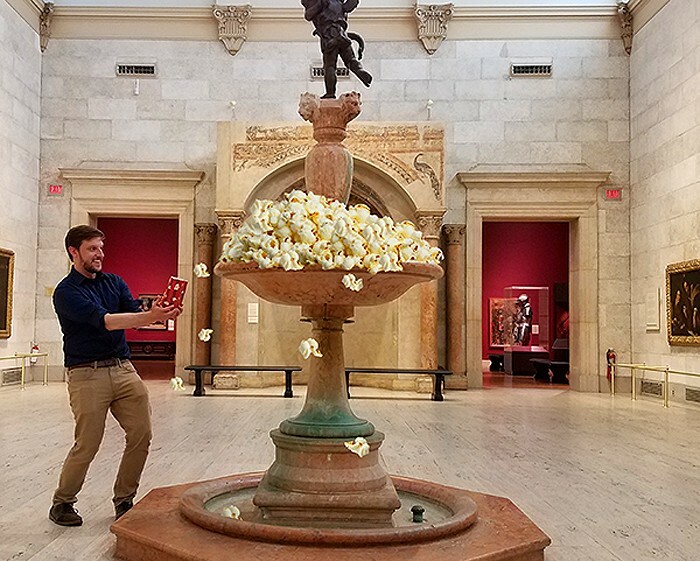 On the third Thursday of each month, Memorial Art Gallery holds a "DeTOUR," a new, specially curated guided gallery tour tailored to a particular theme or topic. These tours examine specific works of art, dive into some lesser known stories about pieces in the MAG's collection, and include art facts, trivia, and interactive activities. August's tour will be led by The Little Theatre's public relations coordinator, Scott Pukos, as the institutions team up for "A Little DeTOUR." The event will focus on the role that art plays in the movies, and will look at the artistic inspiration behind some well-known films, a few artists in the collection who've found favor in Hollywood, and how art has influenced set design, costumes, lighting, and makeup. Plus, there will be a few tidbits about the history of The Little Theatre itself. "A Little DeTOUR" will take place at the Memorial Art Gallery (500 University Avenue) on Thursday, August 17, beginning at 6 p.m. Tickets are $10; free for MAG members if space is available. Note: the tour is capped at 30 people. 276-8900; mag.rochester.edu/events/detours. The Little’s Scott Pukos leads the movie-themed “Little DeTOUR” at the Memorial Art Gallery. Fountain full of popcorn not guaranteed. The Rochester Association for Film Arts and Sciences will host an August networking event on Thursday, August 10, from 6:30 p.m. until 8:30 p.m., at Comedy @ The Carlson (50 Carlson Road). The event will offer the opportunity for attendees to meet other local filmmakers, mingle, and discuss current film projects. Karaoke will follow the event at 9 p.m. The ImageOut Film Festival's 25th anniversary year continues with the buzzed-about Whitney Houston documentary "Whitney: Can I Be Me," from acclaimed directors Nick Broomfield ("Kurt & Courtney," "Tales of the Grim Sleeper") and Rudi Dolezal. The film will screen Thursday, August 10, 6:30 p.m., at The Little. Admission is $4-$9. 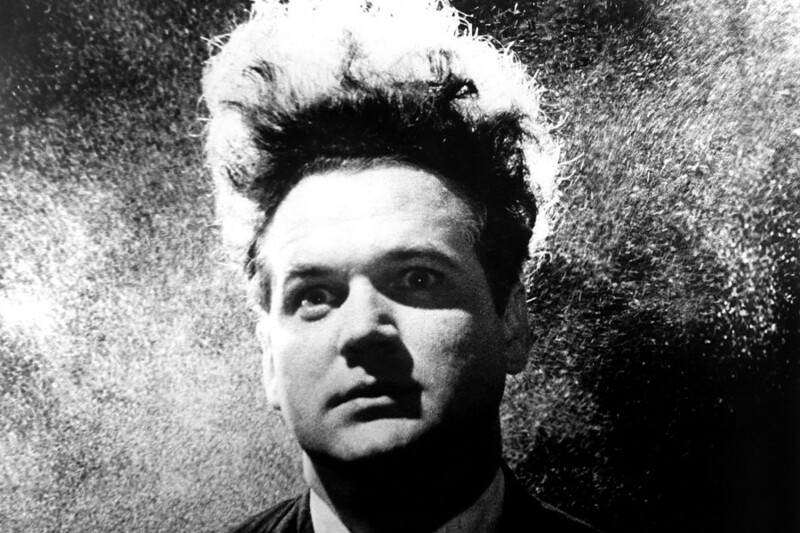 Jack Nance in David Lynch's "Eraserhead." The Dryden will screen David Lynch's 1977 cult classic, "Eraserhead," on Thursday, August 10, in honor of the film's 40th anniversary. There will be an encore showing on Saturday, August 12. The most nightmarish depiction of early adulthood ever captured on celluloid, the film begs to be seen on the big screen. Then on Friday, August 11, see the brand-new documentary, "David Lynch: The Art Life," which provides a peek into the enigmatic filmmaker's life and craft. All screenings begin at 7:30 p.m. General admission is $8; $6 for members; and $4 for students with ID. Rain sadly kept "Hidden Figures" from lifting off back in July, but Movies With a Downtown View has rescheduled the film for August 18 (replacing the previously announced "Hunt for the Wilderpeople"). The free event opens at 6:30 p.m. in Martin Luther King Jr. Park at Manhattan Square (353 Court Street). Food and drink available for purchase from Neno's, Stingray Sushifusion, Roc Brewing Co., and Eat Me Ice Cream, or attendees have the option to bring their own picnic. The movie will begin around 8:15 p.m.
Kali Maaa! This month's Saturday Night Rewind selection is "Indiana Jones and the Temple of Doom" on Saturday, August 19, 9:30 p.m., at The Little. SNR is a monthly series curated by The Little Theatre and Fright Rags, screening of classic genre films on 35 mm film. The weather's nice, so take the opportunity to enjoy outdoor movies while you still can, with free movies at the Highland Park Bowl. On Saturday, August 19, catch this year's live-action "Beauty and the Beast," starring Emma Watson and Dan Stevens. Then on Saturday, August 26, take part in a little rebellion with "Rogue One: A Star Wars Story." Movies begin at dark. More information at monroecounty.gov/parks. Friday, August 25, at 6:30 p.m., The Little will screen the indie comedy "Unleashed," starring Kate Micucci, Sean Astin, and Illeana Douglass. The showing will include a Skype Q&A with the film's first assistant director (and Rochester native) John Morse along with director Finn Taylor. Admission is $4-$9. Also on August 25, the Rochester Public Market will host the third annual Flicks on the Bricks "Bike-In Movie," a free outdoor showing of a family-friendly bike-themed movie. This summer's selection is the ever-popular "E.T. The Extra-Terrestrial." It'll be the end of an era when Hyatt's Classic Video (349 West Commercial Street) closes its doors for good at the end of the month. Opened in 1961 by owner Bob Hyatt, the community video store held strong through the rise and fall of Blockbuster Video and into the digital age. One of the last remaining rental shops in the area, Hyatt's claim to fame has always been its selection of rare VHS. Take one last opportunity to support a Rochester staple before the shop's final day on August 31. "Annabelle: Creation," "The Nut Job 2: Nutty By Nature," "The Glass Castle," and "An Inconvenient Sequel: Truth to Power."